Courtney Peterson, PhD, investigates how meal timing affects health problems, such as diabetes, obesity, and cardiovascular disease. 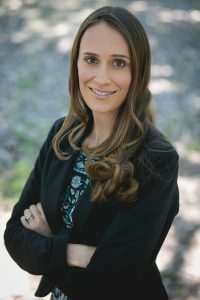 To find out how the circadian system affects weight loss, Elizabeth Saenger, PhD, Director of Education at CET, interviewed a researcher on the cutting edge: Courtney M. Peterson, PhD, Assistant Professor, Department of Nutrition Sciences, University of Alabama at Birmingham. CET: Dr. Peterson, you have conducted some of the most exciting studies on how diabetes, obesity, and cardiovascular disease might be improved, or reversed, by meal timing. What is meal timing? Dr. Peterson: Meal timing is anything you do to adjust the timing of when you eat. For example, instead of a small breakfast, and a large dinner, you could switch meal size, and eat a large breakfast, and a small dinner. Or you might change the timing of your meals, such as by eating an early dinner or only eating within a narrow window each day. CET: How narrow a window are you talking about? Dr. Peterson: Americans tend to eat over a twelve-hour period every day, from a median of 8 a.m. to a median of 8 p.m. A narrower window would consist of ten hours or fewer in which to eat. In my work, I study early time-restricted feeding, which involves moving dinner up to early- to mid-afternoon and fasting for a longer period each day. CET: How did you get into this research? Dr. Peterson: A few years ago, I heard about a study by Satchin Panda of the Salk Institute. He confined the eating of some mice to an eight-hour period, while a control group grazed throughout the day. Both groups ate the same amount of food, but only the mice who ate during a limited time period stayed slim. This suggest that people who say it is healthier to graze throughout the day on small meals may be wrong. This finding—that it is better not to eat all the time —makes sense in that our circadian system is better at doing certain things at specific time of the day. For example, we are better at sports in the afternoon, when our muscles work best, and our reaction time is fastest. We are better at falling asleep when our bodies have secreted the sleep hormone, melatonin, at night. And our metabolism is better in the morning because of the way our body handles everything from our blood sugar to fat. This suggests that we should try to avoid eating at night and to eat in a smaller time period earlier in the day. CET: What are you working on now? Dr. Peterson: I am working on two pilot studies both due to be published in 2017. Both studies look at restricting meals to a six-hour stretch early in the day, with dinner by 3 pm (vs the usual twelve-hour period of grazing). I found that this restriction helps people burn fat. It also helps regulate appetite. levels of oxidative stress (a burden to the body at the cellular level). CET: How long do you think it will take before these findings are used in mainstream medicine? Dr. Peterson: We need larger studies before that can happen. A large-scale investigation usually takes four to five years, so I am guessing it will take five to ten years before this work influences dietary recommendations for the general public. CET: In the meantime, it sounds like if you want to eat a sundae, it would be better to have it at breakfast, than at dinner. Dr. Peterson: Yes, you should definitely avoid late night eating. Ideally, aim to have your last meal at least three to five hours before you go to sleep, and the earlier, the better.